I haven’t posted in a while because there hasn’t been anything to say. When I wasn’t at work, I was proofreading somebody’s PhD thesis (written in English by a German), which is basically also work. In between I managed to watch some football, but seeing as anyone who is interested has probably been watching that themselves I don’t feel the need to blog about it. After all this work with no play, I was desperate for a change of scenery yesterday – if only to get my away from the housework for a while! 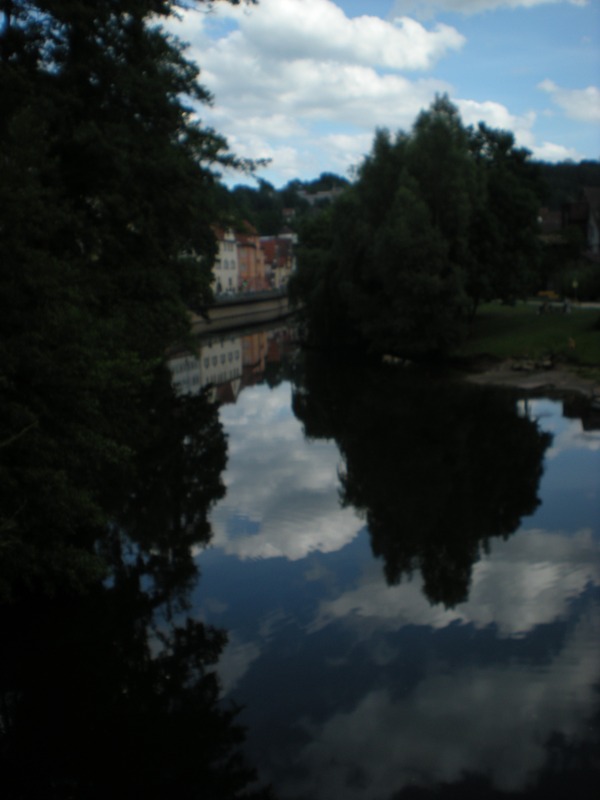 So Jan and I decided to go to Calw. 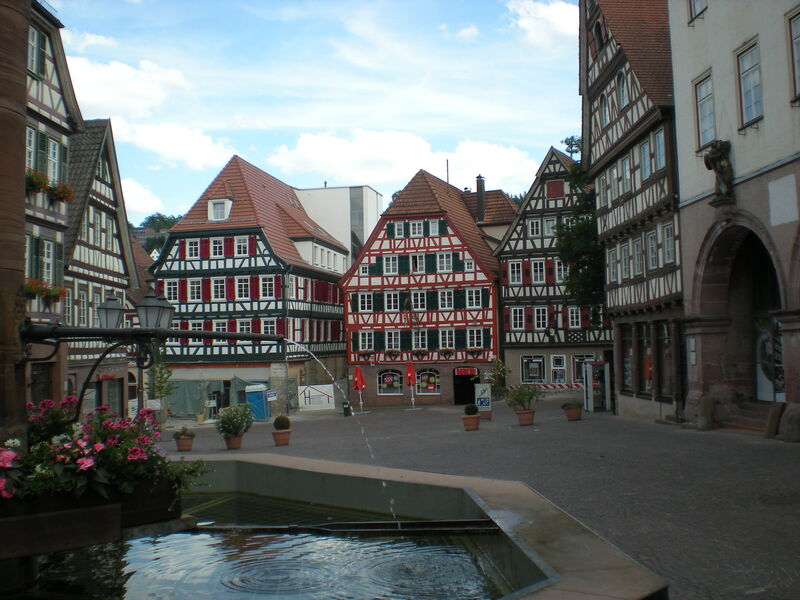 Calw is about an hour’s drive from Karlsruhe, in the Black Forest. 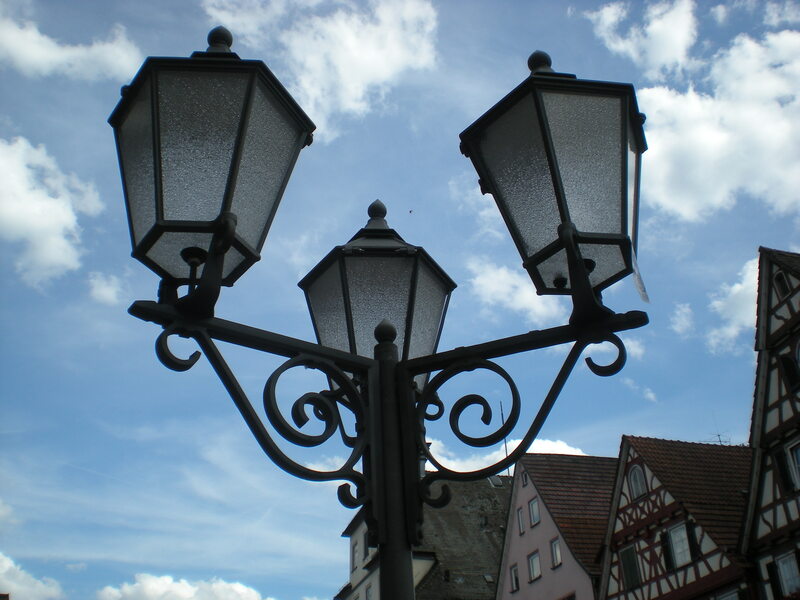 It’s famous for being the birthplace of German author Hermann Hesser – among other things, he wrote the novel Steppenwolf. Some of you may remember the 60s band of the same name. (I, of course, am far too young ;-)). 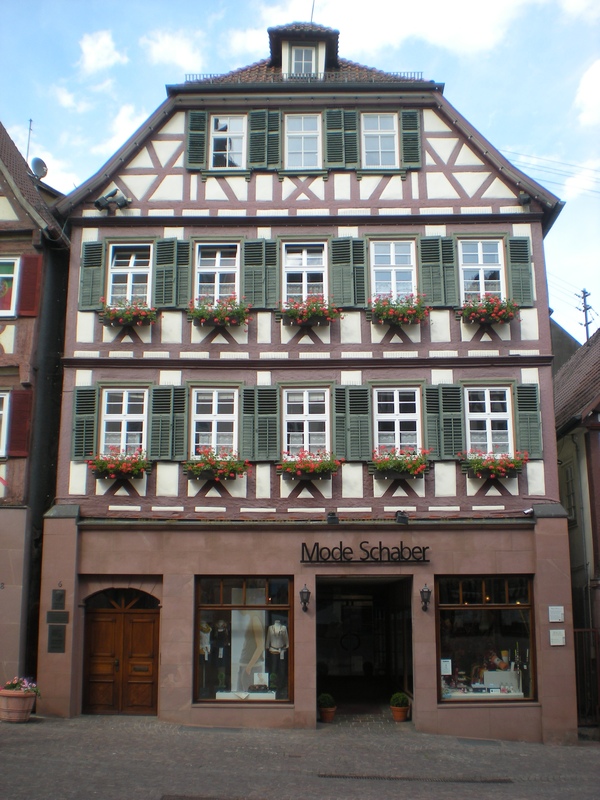 Our first stop on arriving in Calw was thus the Hermann Hesse Museum, for obvious reasons. Unfortunately we didn’t arrive til 4:30 p.m. and the museum closed at 5, so we only had time for a quick look. 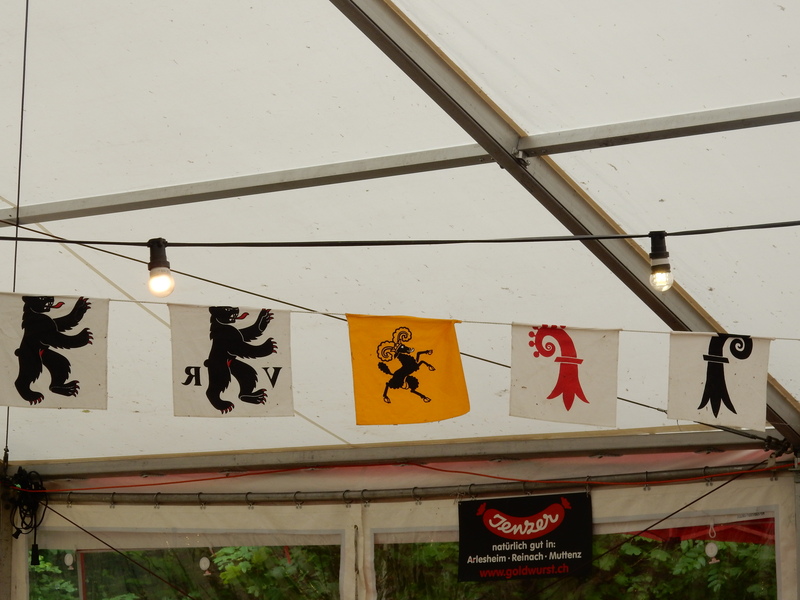 We could have done with more time to read everything properly, but what we did manage to take in was interesting. Having seen the museum, we went to have a proper look around town. 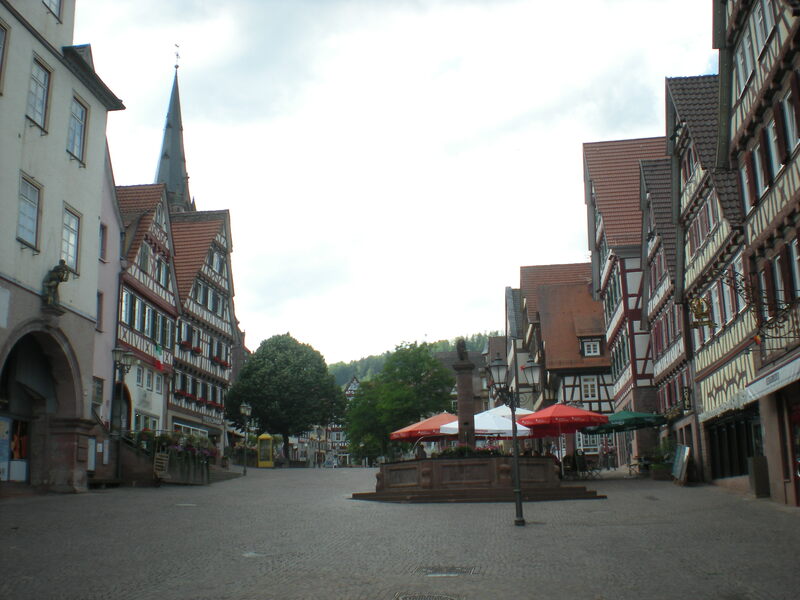 Calw is located in the Nagold valley, which allowed it to escape being bombed during the war. This means lots and lots of pretty old buildings. Just the kind of town I like! I took a photo of a lantern, just because I always do.